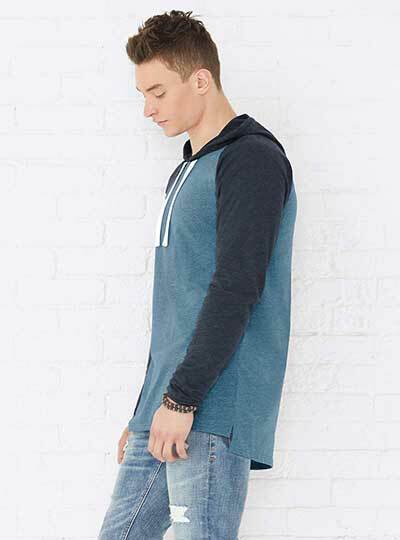 The comfort of a tee with the added benefit of a hoodie! These contrast color raglan sleeves and vintage colors give you the stylish comfort you crave! Note: Color descriptions indicate Body/Sleeves and Hood/Drawcord colors, e.g. Granite Heather/Vintage Smoke/Black indicates Granite Heather shirt with Vintage Smoke sleeves and hood and Black drawcord.